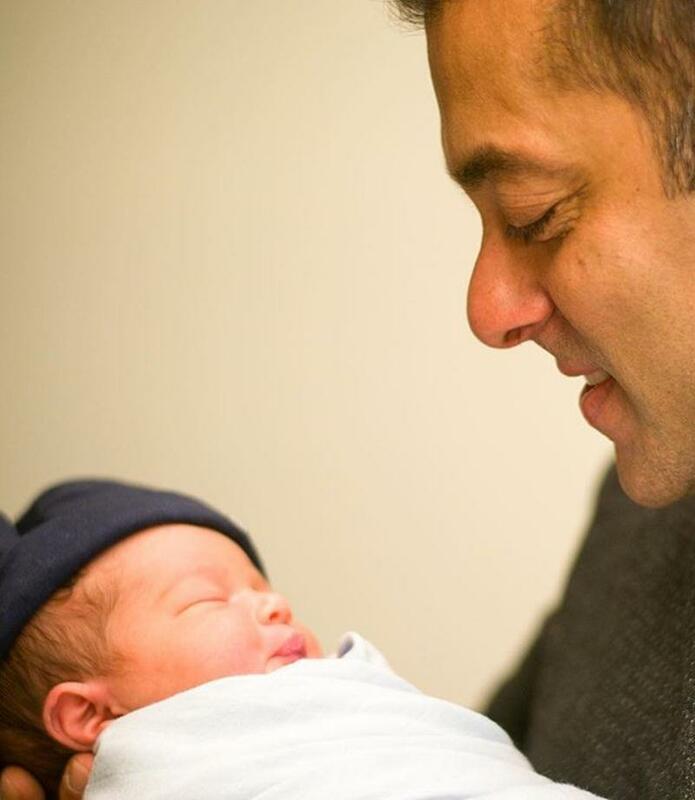 Out of all the precious gifts Ahil has got, this one is the cutest. 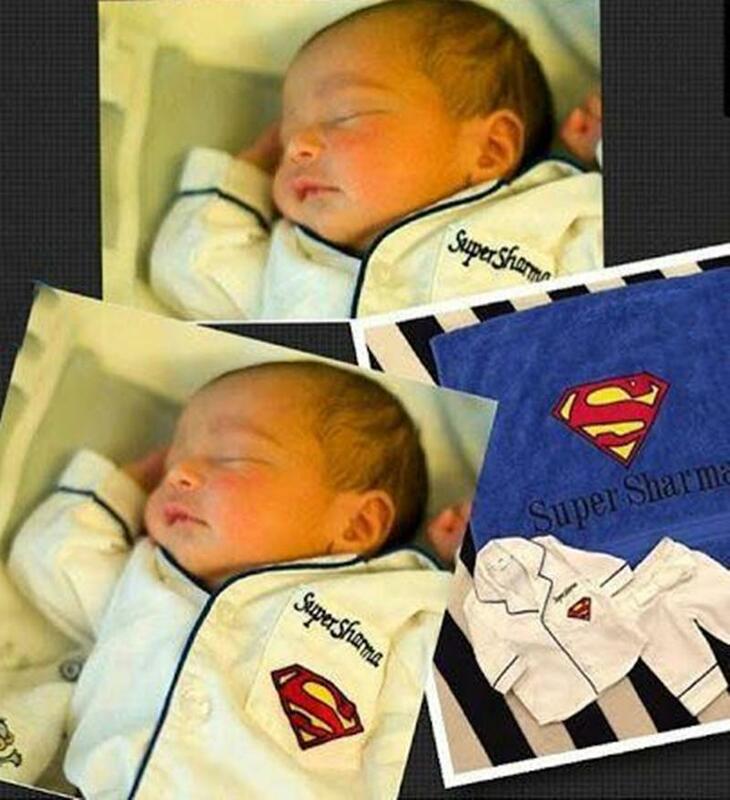 A personalized night suit from The Nightsuit Co. with ‘Super Sharma’ printed on them. 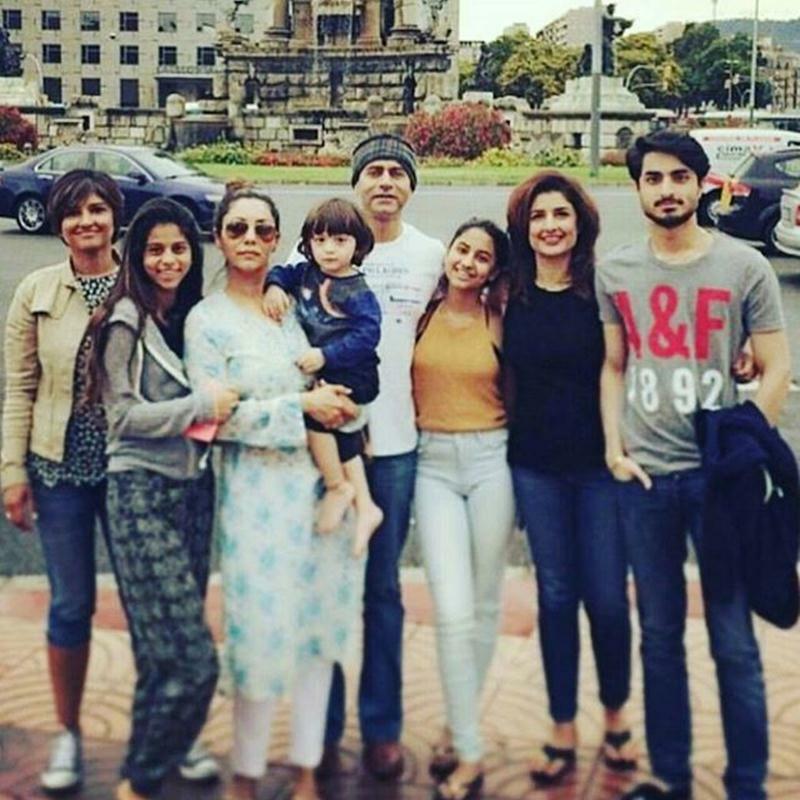 Rani Mukherjee and Aditya Chopra had their little baby girl Adira in December. 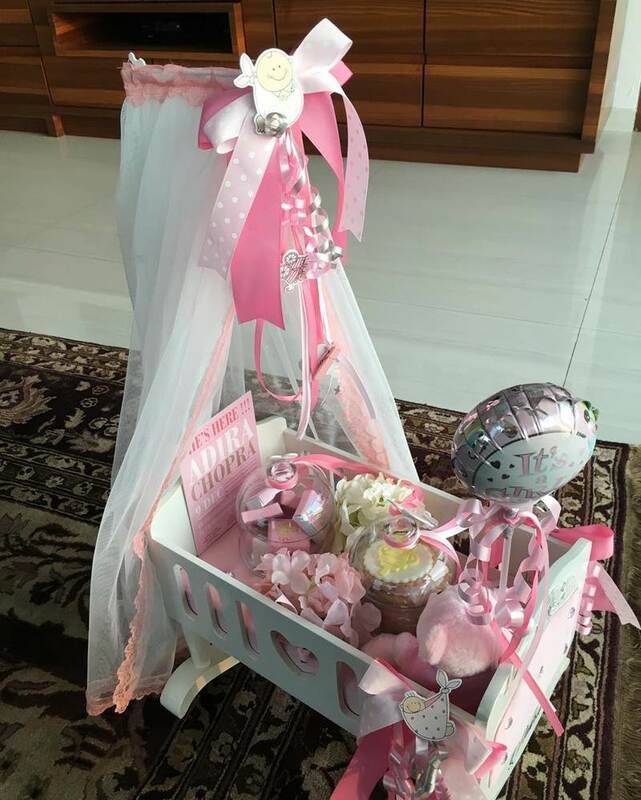 Now, they has sent out little care packages to announce the birth of their little princess. 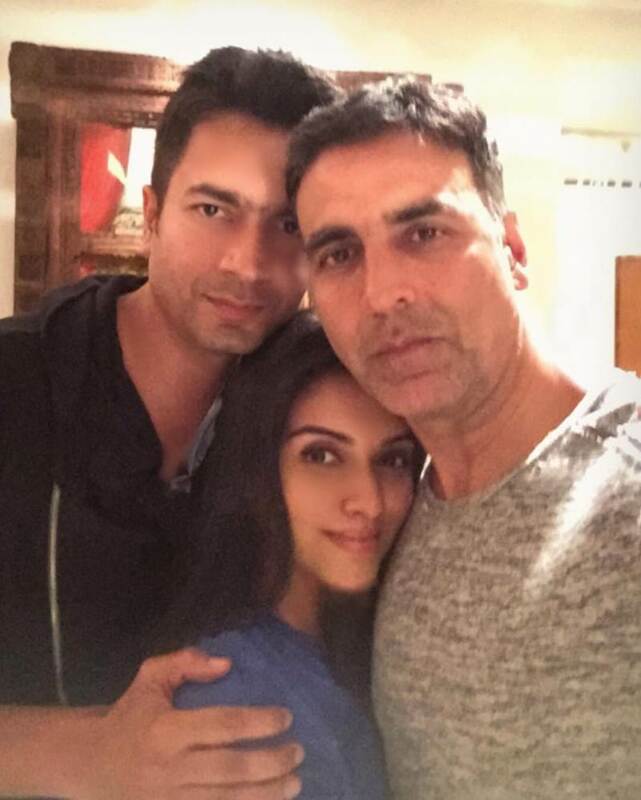 On Sunday night, Asin posted this sweet selfie with her husband Rahul Sharma and Akshay Kumar. They were posing after a day spent playing cricket and then watching the WT20 final together! 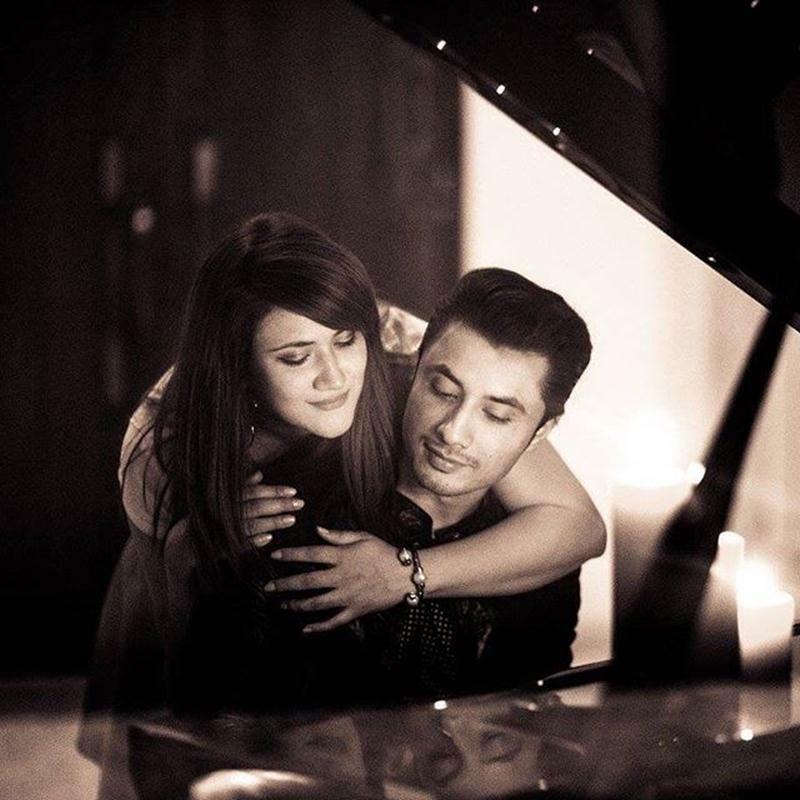 This picture of Ali with wife Ayesha is so ethereal and classic. 6. 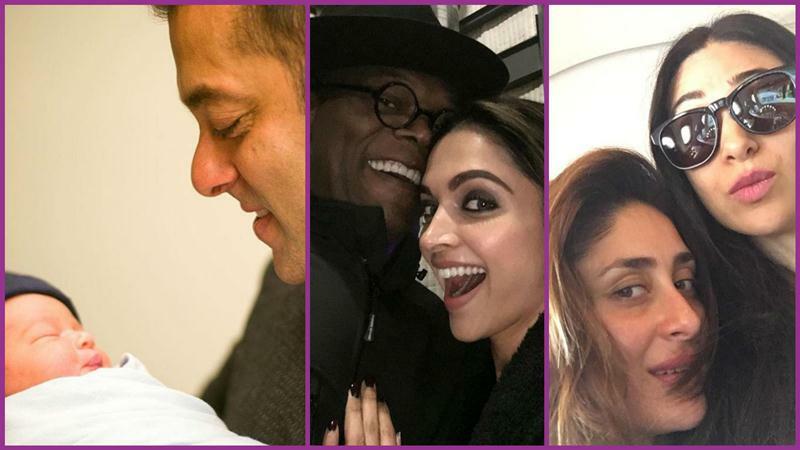 Deepika Padukone’s selfie with Samuel L. Jackson! This is one ‘needs-to-be-framed’ picture, though we do miss Shah Rukh and Aryan in the pic. Salman Khan is very thrilled to become a ‘mama’. 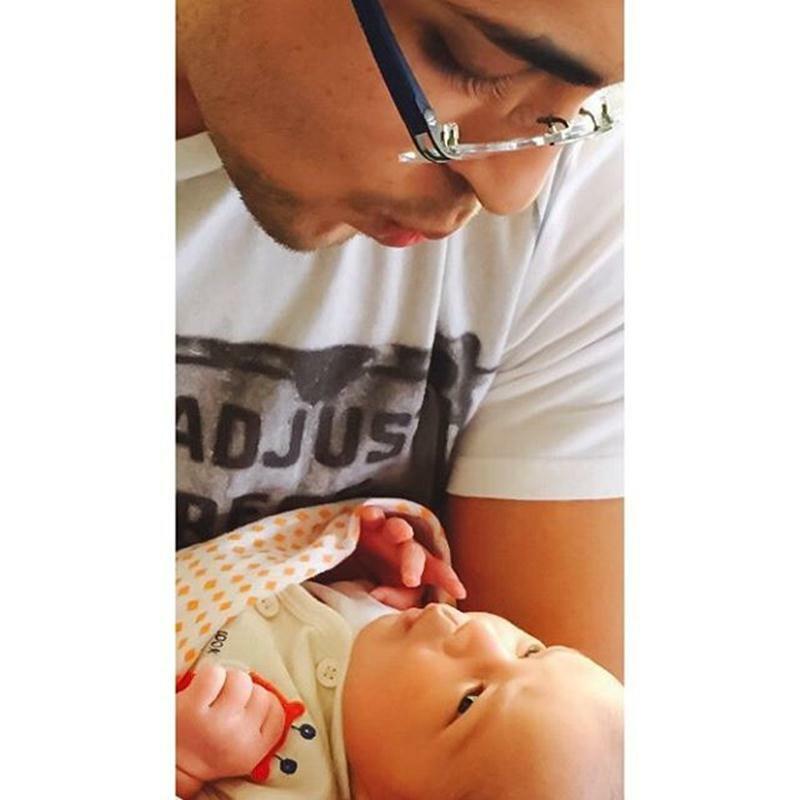 This picture is one of those precious moments that we come across in life. Twinkle Khanna uploaded these pictures of her and Akshay Kumar from a shoot and they look so amazing together. 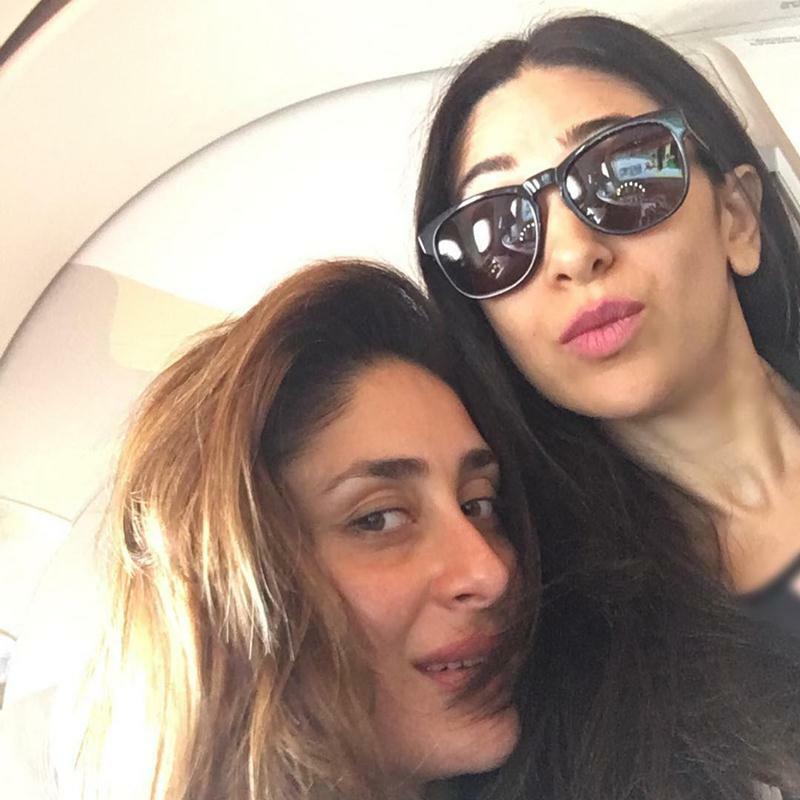 Lolo took to Instagram to post an adorable SisterSelfie of the two of them and as always, the Kapoor sisters look stunning. Leave your comments about new feature of ours below.